Toronto saw anti-Israel agitators commemorating the annual Iranian-conceived “Quds Day” this past weekend. Overtly anti-Zionist and supportive of the Palestinian national movement, one of its feature speakers likened Israeli Jews to foreign conquerors and home invaders. Devised by the Iranian regime in 1979, the virulently anti-Semitic gala presents itself as an expression of solidarity with the Palestinian Arabs. Calling for the “liberation of Jerusalem,” the event rejects Jewish national sovereignty over Israel’s capital city. The event played host to Ali Malllah, the former vice-president of the Canadian Arab Federation (CAF), a Canadian Union of Public Employees (CUPE) member, a Toronto municipal worker, and former executive member of Canada’s socialist New Democratic Party. This came weeks after Palestinian Arabs really stepped up their game with peace negotiations, in which a top aid of Mahmoud Abbas stated, “Wherever you see an Israeli, slit his throat”. This was then followed by exactly that. Peaceful Palestinian resistance. Incitement of terrorism against Israeli Jews is a clear violation of Canada’s criminal code. Alas, it’s been ignored completely by the mainstream press. 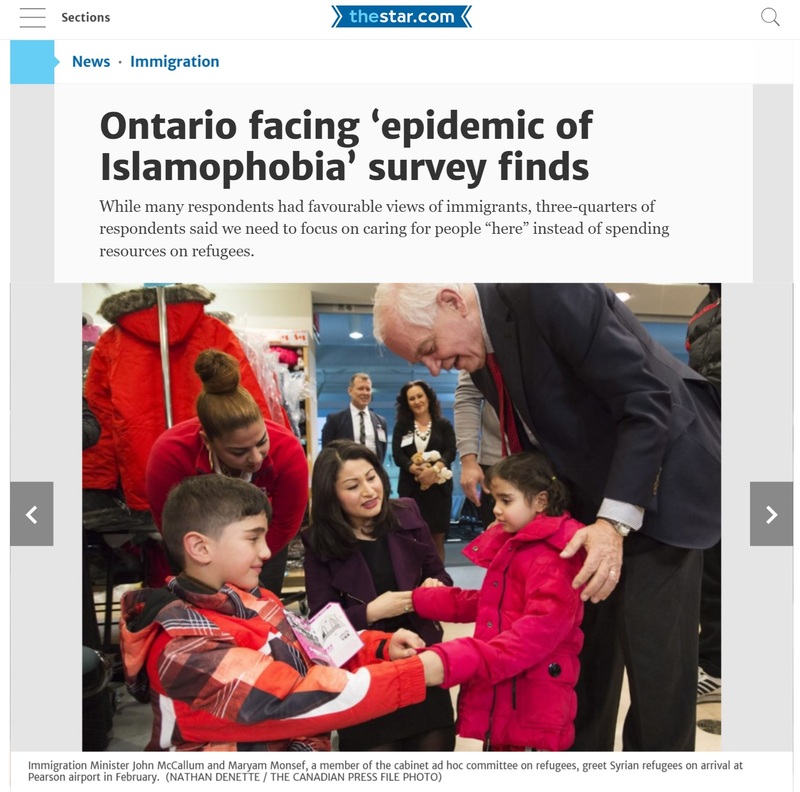 The Toronto Star instead ran with a story hyping “Islamophobia” in its headline. The Toronto Star redefined “Islamophobia” to encapsulate anyone concerned with disturbing social trends in the Muslim World. In 2015, 450 of 452 suicide attacks were by Muslim extremists. Half of Muslims in the UK believe homosexuality should be illegal. Conveniently, the Star omitted actual hate crime statistics from the Government of Canada indicating that Jews are 658.06% more likely to be victims of hate crimes than Muslims in Canada. On the left however, feelings and narratives don’t care about the facts.